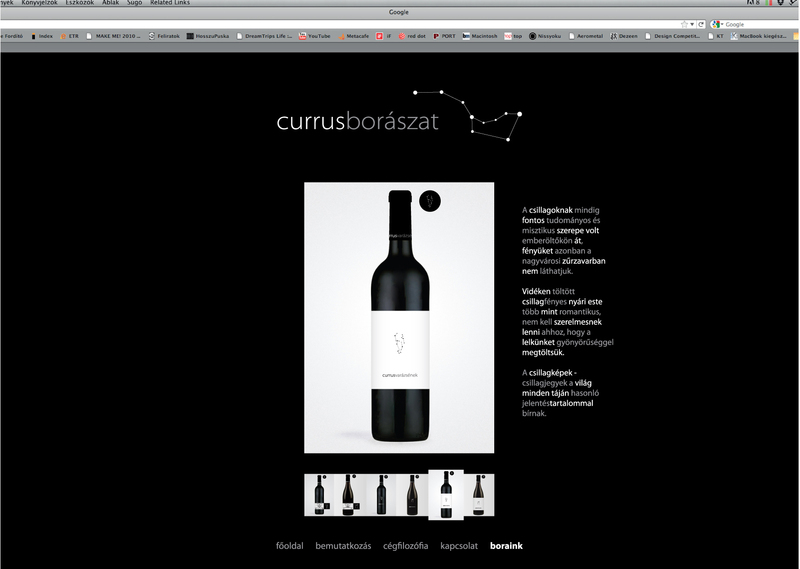 This is a corporate identity for the Currus Wine Cellar which is located in the village of Kocs (Hungary). 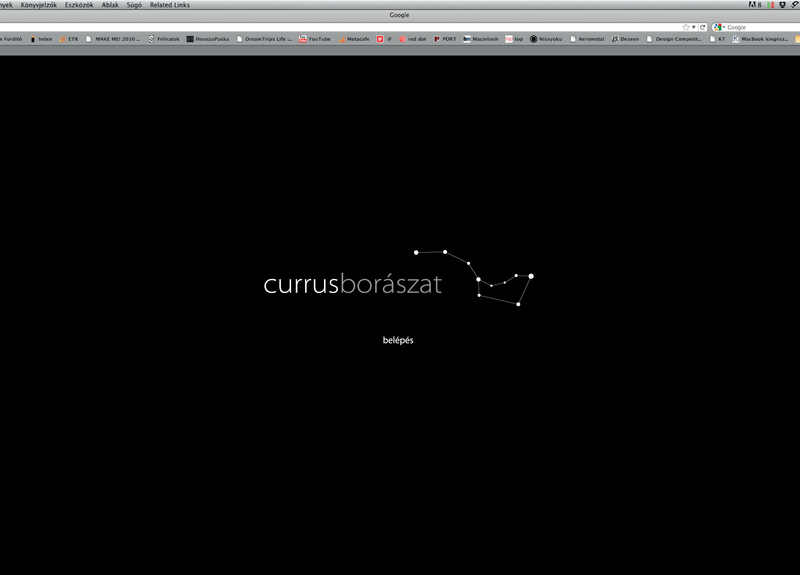 “Currus Kochy” is the earliest mention in the Hungarian source-strings of the word ‘kocsi’ (which in Hungarian means wagon) that originates from the village of Kocs. It is found in the statement book of King Lajos II. The stars always had an important, scientific and mystic role through generations, but in the chaos of cities we cannot see their lights. The starry summer nights spent in countryside are more than romantic. We don’t need to be in love to fill our soul with delight and pleasure with this experience. The constellations and the signs of the zodiacs have similar meanings all over the world. 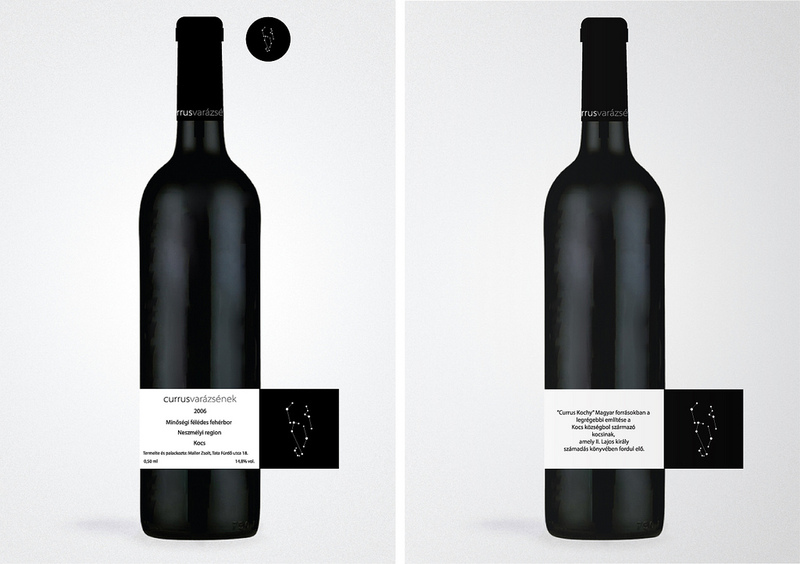 In the corporate identity the invented names of every wine are visualized by invented constellations thus every wine will have a different logo. 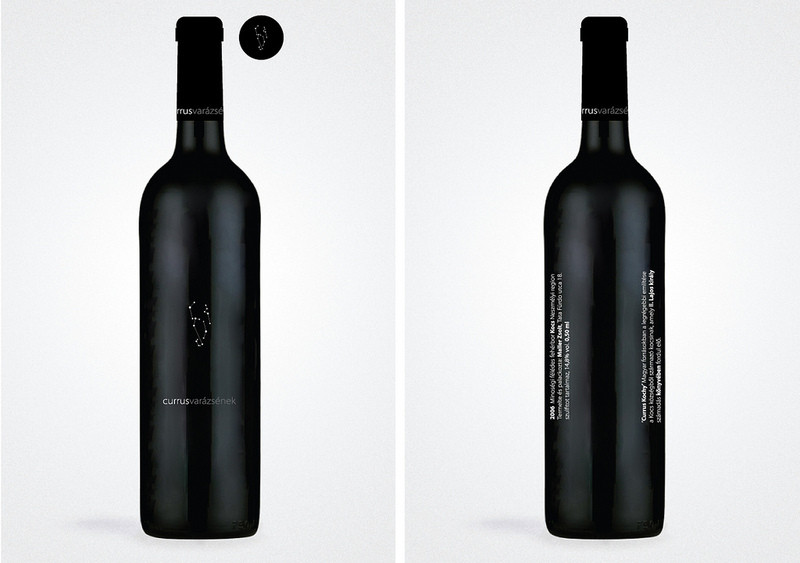 The different versions of wine labels have been designed according to the prestige of the wine bottles. The engraved version has been designed for an exclusive series. 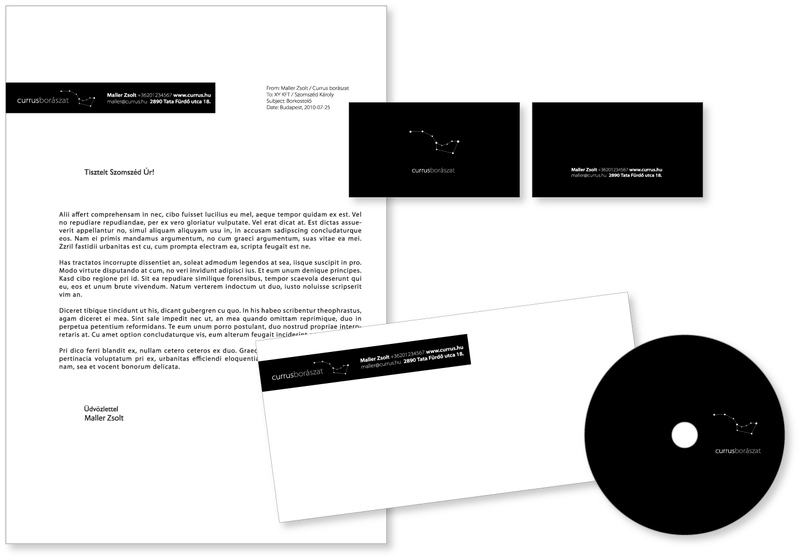 The Currus Wine Cellar’s own logo is a simplified picture of a contemporary wagon as a constellation. 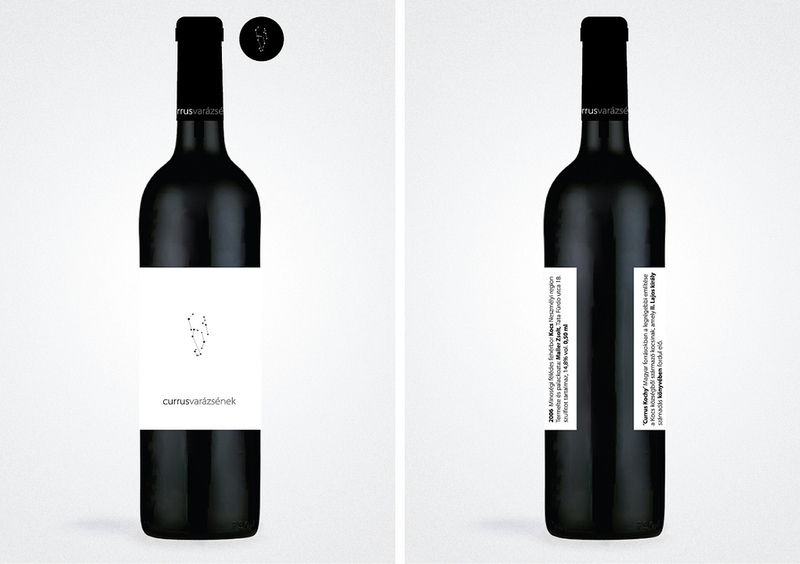 This entry was posted in works and tagged bottle, cellar, label, package, wine by igendesign. Bookmark the permalink. The paragon of unerdstnadnig these issues is right here! Interesting posts. What do you think is the best tasting wine that is made locally in the US? I am trying to expand the collection in my custom wine cellar. I’ve been scouring for the best wine cellar designers. The concept of your wines and your wine cellar is very elegant. Please do post more.